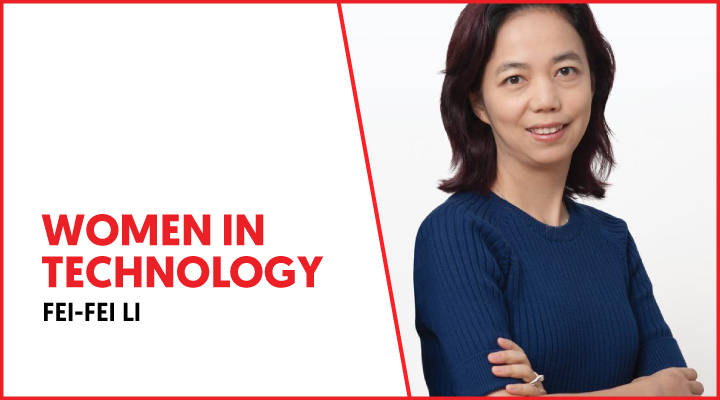 As our colleague Marta told, Fei-Fei Li is a technologist mainly dedicated to the research sphere, although she has also been part of the business world. Her professional career is linked to Stanford University, where she has been in charge of different IA and artificial vision divisions. In 2017, she founded AI4ALL, a non-profit organization focused on increasing diversity and inclusion in AI field. In business, Fei-Fei Li was the leading technologist and principal research for ImageNet, a database to helps computers recognize images using Deep Learning techniques. In addition, up to 2018 Li combined her work at Stanford University with her job as Chief Scientist of AI/ML at Google. Fei-Fei Li was born in Beijing in 1975. With her family, Li emigrated from China when she was almost a teenager and settled in the Parsippany-Troy Hills at New Jersey (USA). In 1999 she graduated in Physics from Princeton University and obtained her PhD in Electrical Engineering from California Institute of Technology – Caltech in 2005. After finishing her studies, Fei-Fei Li was an assistant professor in the Electrical & Computer Engineering department at University of Illinois and also in the Computer Science department at Princeton University. Her career at Stanford started in 2009 as an assistant professor, until she became a full professor of Computer Science by 2017. In the meantime, Li was director of the Stanford Artificial Intelligence Lab (SAIL) from 2013 to 2018, when the fastest entity’s growth was recorded. Her success in research prompted her as co-director of Stanford University’s Human-Centered AI Institute with Stanford University director John Etchemendy. Sometimes she publishes under the name Li Fei-Fei, written in Chinese 李飞飞 and in traditional Chinese 李飛飛. As we explained, Fei-Fei Li’s career focuses mainly on the AI field. However, her work has also been linked to many other tech fields, such as Deep Learning, machine vision systems and cognitive neuroscience. Fei-Fei Li’s research career and a lot of talks about her figure have given her the nickname of of Artificial Intelligence ‘guru’. Her popularity has grown by approaching AI not only from a technological perspective, assuming a bigger context including issues such as society, laws, ethics and philosophy. “As someone who spends her life researching and developing technology, I advocate how important it is to consider other issues. We are not only creating code to make a decision when an autonomous car has to avoid a walker. Our decision has ethical components. Obviously, we don’t have all the answers, but we need to think about it,” Li said when she was named SAIL director. In this respect, Li responds to the Artificial Intelligence sceptics: “there is nothing artificial about it, since it is made by humans, with the intention of behaving like humans and affecting humans. Therefore, it must be driven by human worries.” Fei-Fei Li calls this approach ‘Human Centered AI’ and explains her position in a multitude of public forums. In addition to including the ethical perspective in her technological speech, Fei-Fei Li has also defended the importance of transmitting these values to the next technology generation. As a ‘self-made woman who had to leave her country,’ she is known for defending publically the diversity of human resources in the technology industry and bets on cultural enrichment in the world of technology. “I see very talented Stanford PhD students struggling with their visas and it is totally incredible to me that we build so many obstacles to the world’s talents,” she said in an interview for CNN in 2016.